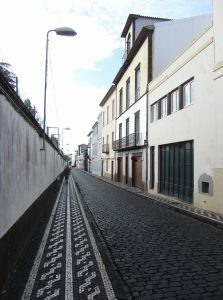 This is in Ponta Delgada on Sao Miguel. 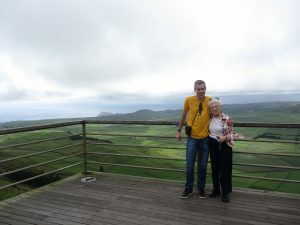 Cinco Picos- Mom and I on the ridge where Dad’s military post was . 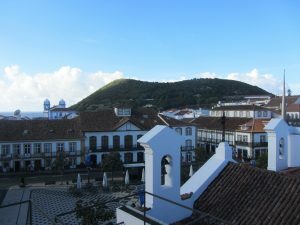 Overlooking the square in Angra on Terceria the island I was born on. Founded in 1480 and yes, I ran up the small peak in the background.